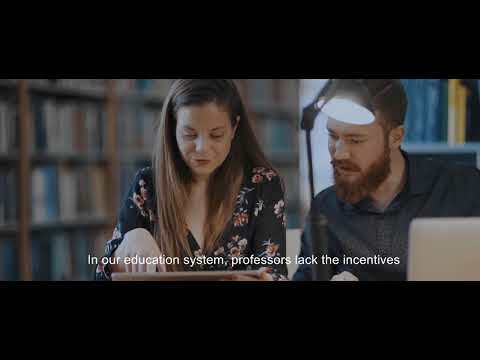 GLEDOS (Global Education Solution) is a blockchain-based answer to a raising demand for a tailor-made and relevant on-demand education for the modern age. The platform provides a single-place-to-learn solution with education pathways, recommended by the leading AI algorithms. GLEDOS is a platform for content providers to publish their online lectures. GLEDOS’s main differentiating quality is derived from the interactive exchange of information between students and businesses, smart contracts, and built-in artificial intelligence engine to help navigate the students’ learning pathway. Theory (e.g., Mezirow in Transformative Learning: Theory to Practice) defines education as the process of facilitating learning, or the acquisition of knowledge, skills, values, beliefs, and habits. Education is commonly divided formally into such stages as preschool or kindergarten, primary school, secondary school, and then college, university, or apprenticeship. With GLEDOS, we are addressing only the higher education system. Preschool, primary, and secondary schools are not within the scope of our activities. Application Development Phase 1 Starts. Application Development Phase 2 Starts.